Much time and many miles have past since my last post. I started writing posts, but didn’t finish any. I have not been in the mood to write, the inevitable end of my journey has been looming over me. I have stayed in places longer than I usually do, hoping to avoid the return to NYC, no such luck. It is not that I hate to go back to the city, I love that place. It is more the fear that I have to sell my truck which would mean the end to any future travels. I just can’t afford the truck and rent. Don’t get me wrong, it has not all been gloom and doom since my last entry. I had a very nice write-up in the online version of GoMagazine, including a small slide show of some of my photos. Let’s see what comes from this publicity. I left Iowa crossing the Mighty Mississippi River into Wisconsin. 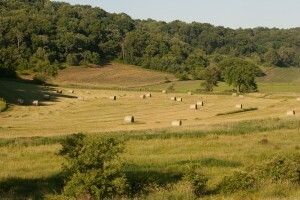 The flat cornfields were replaced by very hilly even mountainous terrain where fields moved up the hillside, a welcome change of scenery; forests instead of just gatherings of trees. I stayed for four nights in the tiny town of Avoca, population 608, at the city park campground, adjacent to a baseball field. I treated myself to some Little League games. 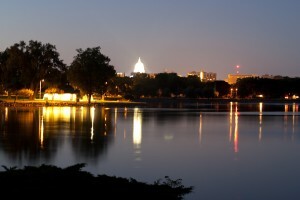 neighborhood at Monona Bay with views of the State Capitol Building, stunning at night with the city lights reflecting in the water. I even caught a glimpse of the 4th of July fireworks finale from my camper, not bad for a free camp spot. I always thought that California campgrounds are expensive, but they are nothing compared to the prices charged in the East where campgrounds are only open for six to seven months. I have seen places charge $60 per night! Bet they don’t have a site with a view of the Capitol Building. Large cities are a pain to explore by car so I did the next best thing and rented a bicycle for the day. I make sure to have my own bike on my next trip. After exploring the downtown and surrounding area, I managed to go for a swim in Lake Mendota; the other big lake in Madison, unfortunately the water was full of algae. I was glad that there were showers at the beach/park. I can’t say that I really liked Madison. It’s not a bad city, I just didn’t like it. 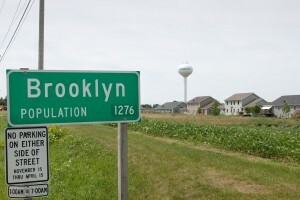 I headed south from Madison via Brooklyn to Illinois. I stayed west of Chicago, no need to get myself into another large city. In Illinois I briefly stopped in West Brooklyn. It is fun to travel through all those namesake towns. I visited Manhattan in Kansas and in Illinois and I stayed overnight in Warsaw, Indiana. Once I entered Illinois the towns seemed to move closer and the farms seemed smaller. 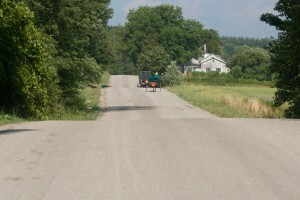 Even the little roads have traffic, no more peaceful cruising through the countryside. I had returned to the East. I thought Iowa’s roads were bad, but the roads in Illinois, Indiana, Ohio, New York and Pennsylvania were not any better. What happened to those shovel read stimulus projects? Let’s fix our roads. The roads I was on today were so bad that my camper moved a good inch within the truck bed, not good. Illinois was followed by Indiana, Ohio and Pennsylvania. Indiana and Ohio are a bit of a blur. I was driving close to 200 miles a day and I only spent the night at each stop for three days. That might not seem like much to you, but I had been driving around 100 miles a day. If you haven’t followed my blog, driving my pick-up with the camper is nothing like driving a regular car or just a pick-up. My rig weighs 11,000 pounds, is top heavy and almost as wide as a lane. Driving on two lane highways with no shoulder takes my full concentration and a 200 mile drive takes six hours. Never mind narrow roads through small towns where I always fear to hit the roadside mailboxes with my huge mirrors. Why the rush? I was trying to meet-up with my hiking buddy Ron from Nevada. He was visiting his sister in Erie, PA. He wasn’t sure how long he would stay and I didn’t want to miss him. It took Ron only four days to drive the 2,200 miles from Nevada to Erie. In contrast, it took my three and a half months and close to 7,000 miles (=NYC to L.A. to NYC and ½ way L.A.). I guess I was doing a little more “sightseeing”. It was great to see Ron again and to meet his sister and his friends. 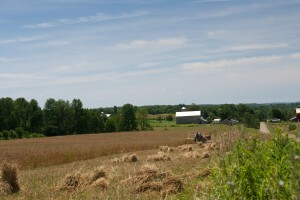 We roamed the countryside and visited his Amish friends in Pennsylvania and New York. I felt very privileged when we were invited into their home to have lunch. 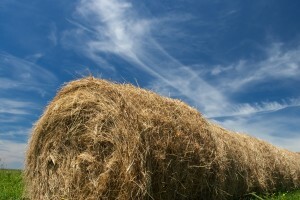 Amish, but it is very different when you get to experience some of this first hand. 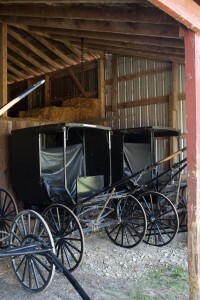 I admire that the Amish community has withstood the pressures to modernize in any way and has stuck with their “simple” way of life. 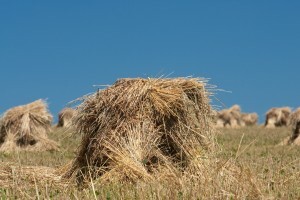 I am aware that there are issues within the community, especially when it comes to leaving the Amish. You have to choose between family or the “English” world. You can’t live in both. A decision I am glad I never have to make. I am leaving Jamestown, NY and head back into Pennsylvania. I don’t like to see all those NY state license plates, makes me feel like I am home. I have two weeks left on this incredible journey. My goals when I am back in NYC are to write about all those stories I promised, to edit my photos and to find some additional part-time jobs, not necessarily in this order. Hopefully, a photo book will follow soon as well. I dread having to empty my camper and move back into my apartment. I am just not ready for stationary life.